Love is like flowers, if we do not water them they do not flourish or grow, and with love it is the same, if we do not have details and we do it every day different, it can die and end, that’s why we should always feed it and there are a thousand ways to do it. We should not lose that essence of love by not giving details and beautiful things to your partner; it will always be beautiful to receive even the smallest surprise of the person you love on this special day. Remember that today February 14th we should share our love and if you had many heartbreaks on this date don’t worry and try to believe in love again, give an opportunity to your heart and another person, to be happy forever. – “Several months have already gone since we started to date and today, February 14th, I want to know if you accept me as your partner, you know that in my heart I have a lot of love to give you, I love you. Happy Valentine’s Day!”. – “Loving you brought great things to my life, today it is Valentine’s Day and I wanted you to know and be sure of my love, thanks for everything, I adore you. Happy Valentine’s Day!”. – “All this love that I feel for you has no explanation, it is something that I feel deep inside of me, I just feel like taking care of you and having you always by my side, Happy Valentine’s Day”. – “The world would be easier if you give me the opportunity to give you all my love, live a happy history together, and today for the day of love we would let all that love we feel flow. Happy Valentine’s Day!”. – “Today is the day of lovers and the day I want to declare all my love, do not leave this for later, it is the ideal and perfect day, I love you very much. Happy Valentine’s Day!”. – “For me you are like a Goddess, I admire everything about you and every day you surprise me even more, let’s spend this Valentine together, let me offer you all my love. Happy Valentine’s Day!”. – “You are as beautiful as a rose, and for that reason I will treat you with great delicacy and I will tell you how beautiful you are every day, so that you come to love me forever and our love would be the most beautiful. I love you!”. 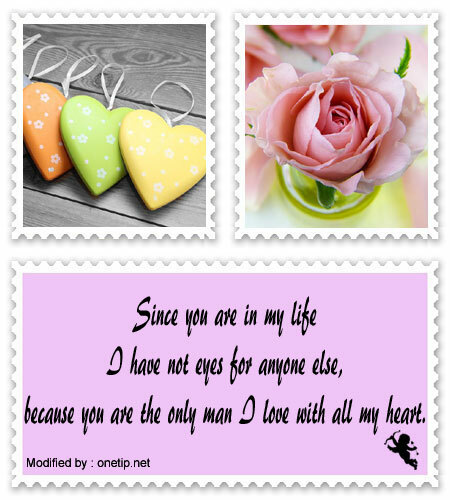 These beautiful and romantic phrases were written especially for couples, read them and use them for the love of your life or to declare your love to that person you love so much, make her feel loved and special. If you want to surprise your partner this Valentine, then send him a nice love note. On a romantic note you can make your partner feel very special to telling him/her the happiness you feel to have his/her love. If you want to write a nice note to your sweetheart this coming February 14th, however you do not know what to say exactly, then worry no more. You are in the right place. In this article we bring two models of romantic notes for the day of love. Use them as a guide to compose your own note of love for your partner. 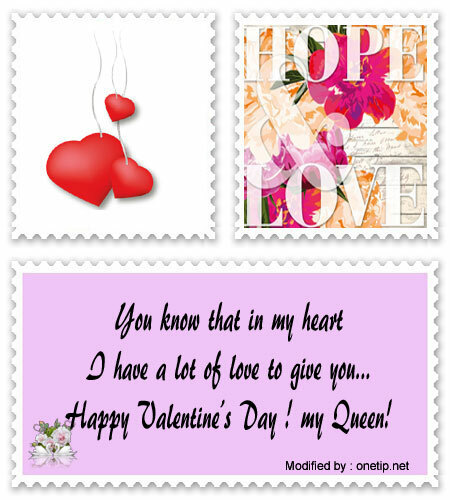 Diana, my beautiful princess, I am sending you this note because today is a beautiful day. I am very happy to have you in my life and I feel happiness when I’m with you. In your beautiful eyes I can see the immense love you feel for me and every time you smile my heart gets captivated. I love you with all my heart because only you awake the most wonderful feelings in my soul. You are the person I love most in my life without your love I would not know how to live. On this beautiful day I want to thank you for all the love you give me everyday. You are the one who gives me reason to keep going. I am grateful to the Lord for having you in my life and I live beautiful moments with you. I love you my darling, I will never get tired of telling you how important you are in my life. This February 14th will be unforgettable because I have a great love. My life, on this day as special as it is the day of love I will express my feelings through this romantic note. You are my beloved Charming Prince; only you are the owner of my thoughts and my heart. The feelings I have for you are so wonderful that I am inspired. When we were friends I did not think both of us would fall in love, but you have showed me the great person you are, as well as your great love. When thinking about tomorrow imagine we will be together sharing our great love. Although sometimes we have few moments together, I feel the love I have is getting bigger. Since you are in my life I have not eyes for anyone else, because you are the only man I love with all my heart. Thanks to you I have known true love. On this beautiful day of love I want to tell you that you are everything to me. I love you as you have no idea. 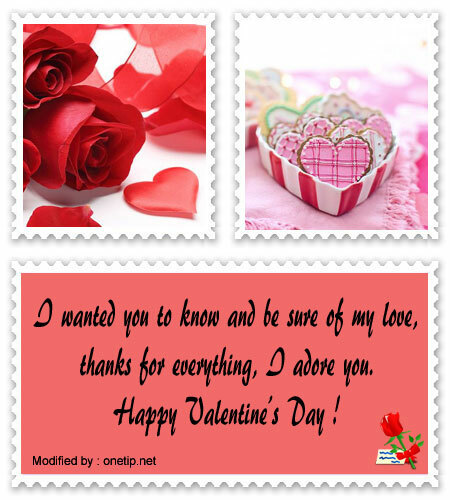 These guidelines for romantic notes for the day of love are very creative and full of love. The love of your life will feel happy that you spend some of these. If you liked this page you can help us by giving us a “like” on facebook, G+, twitter. Also if you want you can help this website by sending your originals love messages for my girlfriend, and will be published, others friends will thank you .